Empty accounts (accounts with no poems, comments, and fav poems/poets, etc. associated with them) are deleted after 6 months to conserve database space for your free website. Login and go to the Member Area. You will see a change password link there. Go to the Member Area in the left navigation or click on your name at the top of the page. Scroll to the bottom of the page to the Other Account Information section. Click the Delete / Close My Account link. If you do not remember your login information, please email PoetrySoup with either your username, password, or postal address used to register. We need this information to verify your account. When you delete your account and poems it may take some time for search engines to remove those poems from their search results. You can have your username and password emailed to you from the Recover Login Information page. You will need to enter your PoetrySoup registered email address. Your login information will then be emailed to you. If your PoetrySoup registered email address has changed, please email PoetrySoup with either your username, password, or postal address used to register. We need this information to verify your account. I moved. How can I update my address? Login to PoetrySoup and click the My Personal Info link in the left navigation or Member Area. I reset my email or requested my login info. It was not sent. Please check your email SPAM folder and make sure PoetrySoup emails are not blocked by your SPAM folder. My email address has changed, how do I update it? Someone is posting poems under my name? Maybe you have their name. PoetrySoup has over 37,000 worldwide members and many members have the same names (hopefully, your last name isn't "Smith", "Gupta", "Patel " or "Jones"). You can add a middle name or some other identifier to your name to distinguish it from similar names. What does it mean if I've been "banned?" "Banning" means that a PoetrySoup member has their account locked so they can't access it. A poet can be banned (have their account locked) for a short period like a week or permanently. If one is banned permanently, they are not allowed to have an account and will lose their Premium Membership (if they have one), poems, and all account data. A person will not be banned permanently for a momentary lapse in judgment. Ones who are banned forever typically break the rules multiple times, and seemingly on purpose. We do not want those members or premium memberships back. Your account may be temporarily locked for breaking PoetrySoup's Terms and Conditions. For cases of harassment and other serious offenses, a member may also receive a "cease and desist" letter from Arcizs Web technologies, Inc. corporate lawyers. Can I Advertise My Book on PoetrySoup? How can I block someone from commenting on my poetry? The "Eye" feature allows you to block certain poets from commenting on your poetry if they are being malicious or cruel. (Constructive criticism is OK on PoetrySoup). Just login and click the next to the poet’s name and comment to block a malicious member. You can then view a list of your “banned/blocked” poets from the Member Area. How do I get others to comment on my poetry? Be active in the community. Comment regularly on the poetry of others and they will comment on yours. How do I reply to comments made on my poems? Currently, the only way to reply to comments is to send SoupMail - if they have that feature enabled. To do this, click on their name next to the comment and look for the Soup Mail icon . You can reply to a poet privately if they have enabled this feature. The Soup Mail icon is on their poem list page or any page with their poem on it. Where did the comments on my poem go? When an account is deleted from PoetrySoup by its owner (or PoetrySoup), all of their comments are removed as well. Click on the “Enter Contest” image for the contest you want to enter. Select which poem, from your list, you want to enter in the contest. How do I remove a poem from a Member Contest? Use the My Member Contest Entries page in the Member's Area. How do I see which of my poems have won a poetry contest? I ended my contest, why isn't it displaying? When finalizing a contest, you must properly fill in the “Finished Judging Contest on this Date:” field AND mark "Finalize Contest" as "yes". The finalized contest will not show up properly on the Contest Winners page until you do these two things. Is there an entry fee or obligation to purchase anything? How do I get permission to use a poem? PoetrySoup cannot give you permission to use member poems. All poems are copyright of their respective authors. 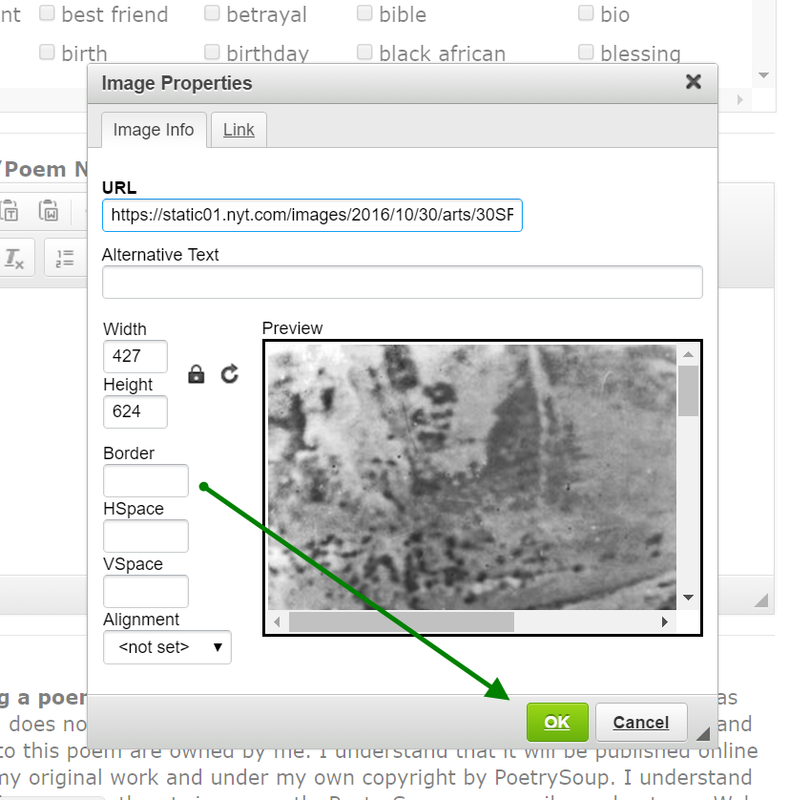 For permission, please contact a poet via Soup Mail, if they have this feature enabled. Look for the SoupMail icon next to the poet's name wherever their poetry displays. Click on the icon to message the poet. Copyright is automatic under U.S., and your poetry is inherently protected the moment it is created and put in tangible form (In a book or on PoetrySoup, etc.). Visit the U..S Copyright Office for more details. Do the ratings given a poem have a bearing on who wins a contest? Does PoetrySoup print books or anthologies? At this time, PoetrySoup in not involved in the publishing of anthologies or poetry books. How do I contact a poet (SoupMail)? You can contact a poet via Soup Mail, if they have this feature enabled. Look for the SoupMail icon next to the poet's name wherever their poetry displays. Click on that icon to SoupMail the person. What browser is best for PoetrySoup.com? Why are there ads and paid memberships on PoetrySoup? Running a popular website like Poetrysoup is expensive. Our primary means of paying for these expenses comes from poets who make periodic donations to the website via Premium Memberships. Revenue is also generated by Google and other advertising. How do I attach a photo or picture to a poem? You must be Premium Member to attach photos to a poem. Also, you must link to photos already on the internet and must be a little familiar with HTML to do this. 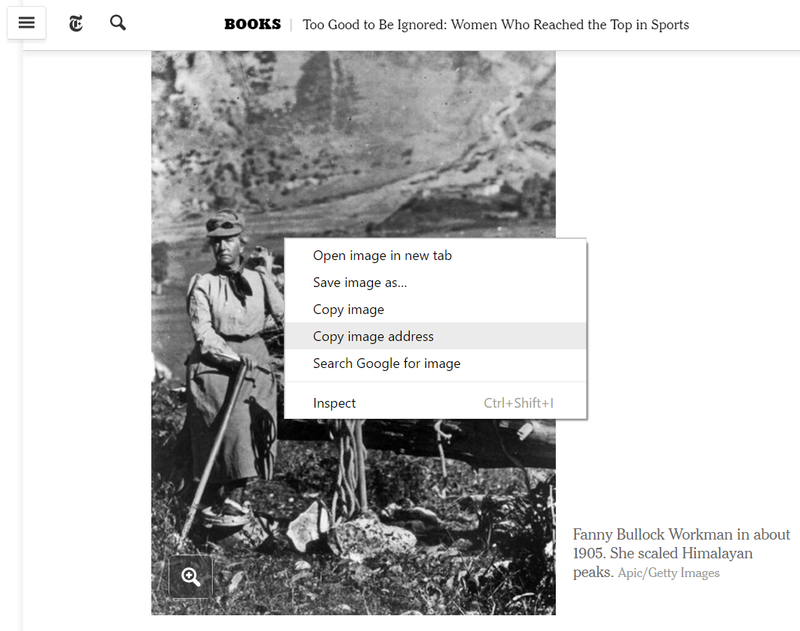 Go to a photo on a website, right click on the photo, and select "copy image address". Go to the "About Poem..." field on the Submit Poems page. Click the insert photo icon on the toolbar. An Image Properties window will display. Paste the image address you copied earlier into the URL field. Add and save your poem. How do I center a poem? How do I edit my poems? Click the My Poems link in the left navigation. 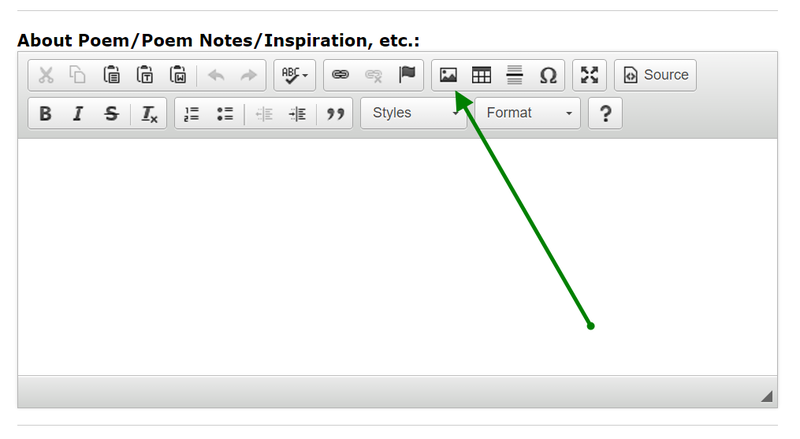 Click the poem title or "Edit" Link in the grid. Are featured poems what PoetrySoup considers the best poems? Not Always. Many times poems are featured because PoetrySoup considers them different or timely poems. Sometimes poems are featured for more ambiguous reasons or, because it's Premium Member week. Sometimes we feature active poets to encourage them. How do I get my poem featured on PoetrySoup? Those who post a lot of poetry, actively comment on poems, and choose a poetic form are more likely to have their poetry featured. In addition, as we read contest entries we may choose select poems to feature. The only guaranteed way to be featured is to become a Premium Member. Premium Members are guaranteed to have a poem featured at least once every two months. How do I select a poem to be featured on the PoetrySoup home page? Go to the Manage Poems page. 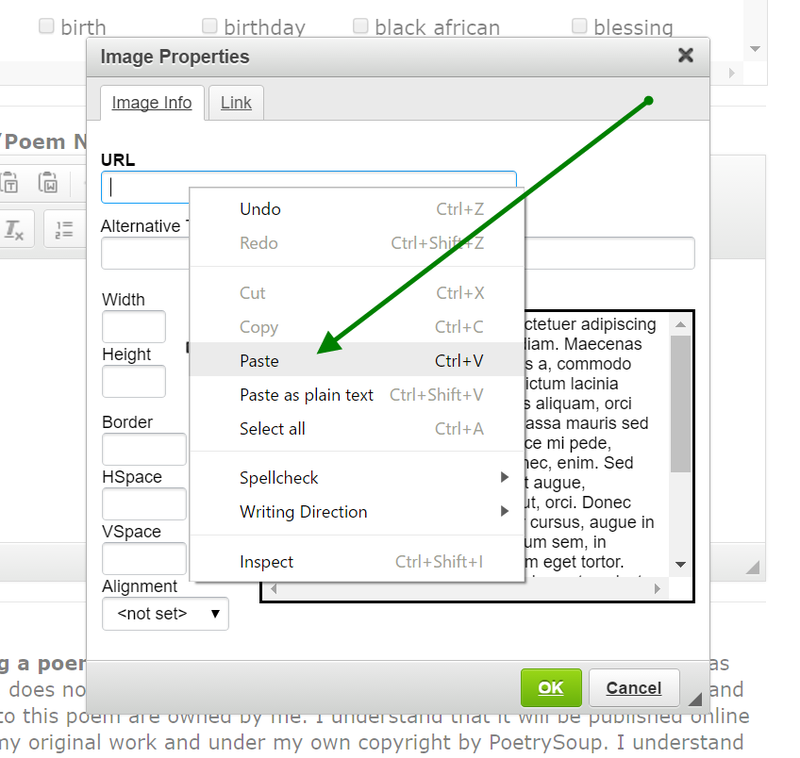 Once you are on the edit poem page, select Yes in the Prioritize: Feature on Soup field. The next time you are scheduled to be featured as a Premium Member, your select poem will be featured. If you have selected more than one poem, we will prioritize them by alphabetical or date posted order. Premium Member poems are featured once every 2-3 months. Can I post poems for someone else? 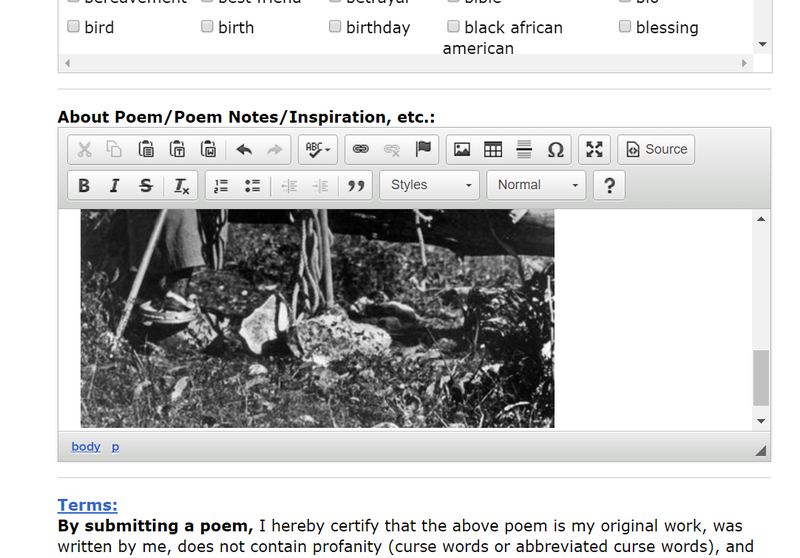 No, you cannot post poems on PoetrySoup that you have not written. Can I submit published poems? You can submit published poems if you wrote the poem and your publisher allows the posting of your poems on web sites. Can PoetrySoup publish my poems? Yes, by posting your poetry on PoetrySoup.com you give us the rights to reproduce your poetry online or in printed format. However, you (the poet) ALWAYS keep the copyright and own your poetry. Does PoetrySoup use the Ratings to determine good poems? No! Poem ratings are just for fun and have no tangible value. PoetrySoup does not use them in calculations, rankings, or any computations. In the past, if a poem was not rated, we added a default rating of "6". This was just a way to encourage poets. However, this old design has run its course and was changed January 11, 2011. Now, if a poem is not rated by a commenter, no value is used in the average. Thus, now, it is a true average rating by Soup members. This was not a retroactive change, so any ratings received prior to January 11, 2011 will contain the old default values. How do I attach audio to a poem? The easiest way to attach audio to a poem it to become a PoetrySoup Premium Member. Premium Members can directly upload audio files (.MP3) to our servers from the edit poem pages. All PoetrySoup members can add a direct Link/URL to a .MP3 file on the internet. The Link/URL must end in .mp3. You can link to an audio file on the internet after using a free service like OpenDrive to store your audio files online. How do I post or submit a poem? Once you’ve registered, login and click on the “Submit Poems” link at the top of any PoetrySoup page and enter your poem. Once a poem has been successfully submitted, it will display on the PoetrySoup website immediately and in PoetrySoup search results within 24hrs (Use the search engine at the top of each page to search for poems). I accidentally deleted my poems. Can you retrieve them? No, they cannot be retrieved. We only keep backups of our database for a week. The backups are only for major system losses. We cannot retrieve individual poems from those backups. That’s why we encourage all poets to keep their poems locally on their computers. I lost my poem when trying to submit it, what should I do? Technical glitches occur frequently on the internet. Please save your poem on your computer BEFORE posting it on PoetrySoup. Never write the poem in our submissions form. You can potentially lose it. If I want to direct people to PoetrySoup to read my poetry, how do I do that? In the Member Area, there is a link at the top of the page that reads: This is a link to YOUR poetry on PoetrySoup. Click that link and send the URL or web address of that page to your friends. This occurs when poems are pasted from certain programs. The line breaks are not included in the paste. You need to manually edit the poem and enter then line breaks where you want them. My poem will not submit, what is wrong? Make sure all of the required fields have been entered properly. If you click the submit button and nothing happens there is an error on the page. Look for an error messager next to one of the data entry fields and correct the error. Why are my poems not displaying in the search results? It takes about one day, or so, for poems or new poets to show in the search results. How Do I View My Poems? To view your poems on the website and see what others see, just click one of the links at the top of the Member’s Page: https://www.poetrysoup.com/member_area/. Is PoetrySoup associated with Poetry.com? How do I block a person from commenting on my poetry? I want to get in touch with one of the poets on your web site. Can you send their contact information to me? No. We do not release the personal information of individual poets. You can comment on their work or send Soup Mail , and hope they respond. Look for the Soup Mail icon next to the poet's name wherever their poetry is displayed. I want to use a poem on the website, can I? PoetrySoup does not own the rights to the poems posted on the website. We cannot give you permission to use them. To get permission to use a poem you must contact the poet directly. We, however, do not release the personal information of individual poets. To contact a poet you can them send Soup Mail and hope they respond (if they have this feature enabled). Look for the Soup Mail icon next to the poet's name wherever their poetry is displayed. Is PoetrySoup committed to protecting our privacy? Yes. Please refer to our Privacy Statement for specifics. Why do I have to fillin a security (CAPTCHA) code when I post stuff or login? from sending SPAM emails, comments, or other unwanted data through PoetrySoup servers. It is used to help prevent criminals from harming PoetrySoup. This security measure called captcha (read about it here). If I publish a book, do I still have the rights to keep my poems posted on PoetrySoup? As far as PoetrySoup is concerned, you may keep your poems on our website after publishing them. However, many book publishers require that you remove poems from public websites once you publish them in book format. You will need to check with your publisher concerning their requirements. Is it OK to mention or credit PoetrySoup in a book I publish? Yes, you may credit PoetrySoup in publications. We welcome all positive exposure. I registered but have not received my confirmation email. Please check your email SPAM folder and make sure future PoetrySoup emails are not blocked by your SPAM folder. If your region is not listed, you must select '_Not Listed' as the Region and then enter you full address in the International address box. How do I delete old Soup Mail? Log in and go to the Soup Mail page. Select the Soup Mail you want to delete. Click the “Delete Selected” button. To unsubscribe to the Poem or the Day (or Week), please go to that respective page (Poem or the Day, Poem of the Week), enter your email address, and click unsubscribe. To unsubscribe to general PoetrySoup emails, go to your profile page (/member_area/my_personal_info.aspx) and chose the feature to unsubscribe. I am not receiving email notifications, why? Our emails are going to your email SPAM folder. To fix, go to your email SPAM folder and check to see if our emails are there. If so, mark emails from poetrysoup as safe. You have accidentally turned off receiving email notifications. To turn email notifications back on, go to your My Profile page link in the left navigation. Scroll down to the Comment Emailing field and make sure "Yes" is selected. What browsers are compatible with PoetrySoup? PoetrySoup has been tested successfully on the following browsers: Chrome, Internet Explorer, Opera, Safari (ipad), and FireFox. Other browsers may not be fully supported. We recommend Chrome.